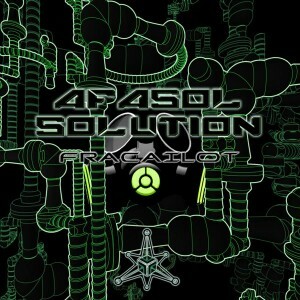 Fracailot is a psytrance project based in Verona, Italy, and founded in early 2010. Afasol Solution is a collection of four songs exemplifying an attempt to create different atmospheres using fast, rippling, acidic bass lines to take the listener on a trip into pure psychedelia. Expect many twists and turns on this upbeat twilight-style release! Written and composed by Francesco Cailotto, Dream Project Records, with mastering by Tim Schuldt @ 4CN-Studios, Germany. MP3 Download | FLAC Download | WAV Download · Download count: 6,710. Awesome tracks! The title “Blanche de Namur” made me laugh, do you also love this beer? @Leo …yeah that beer is my favoured!!! Nice one! Great grooves & psychic organic sounds.. Makes me feel in total inner peace. Good job and full support! Heard this twice now, very much like it. There’s a different flavor to each track but a general undercurrent of hypnotic, well produced bass. Psytrance from the Ajja school of thought. Fantamagorique !!!! Merci beaucoup ! !